Modelling a Tornado cockpit instrumentations in 320x240 pixels. 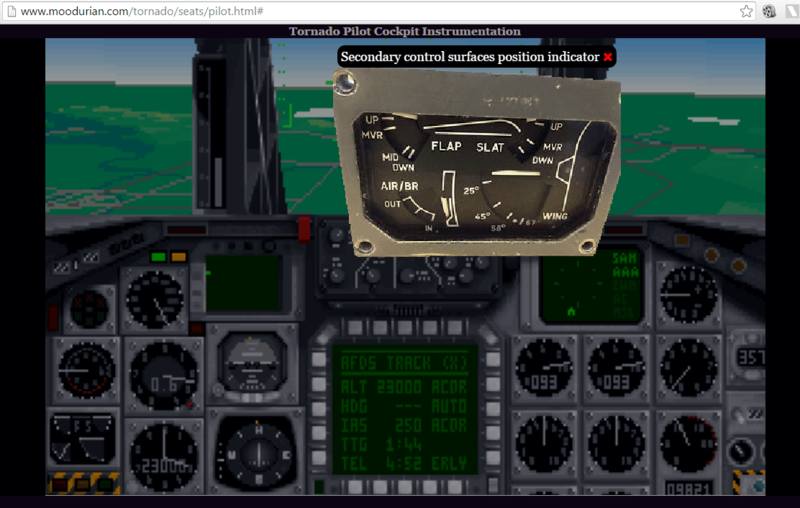 Yesterday I was curious to see how faithful the design of DI's Tornado cockpit instruments was.The artists of the development team were then working under the "320x240 pixel screen" limitation. So it would have been quite a challenge to accurately reproduce the actual gauges in the PC simulation game. 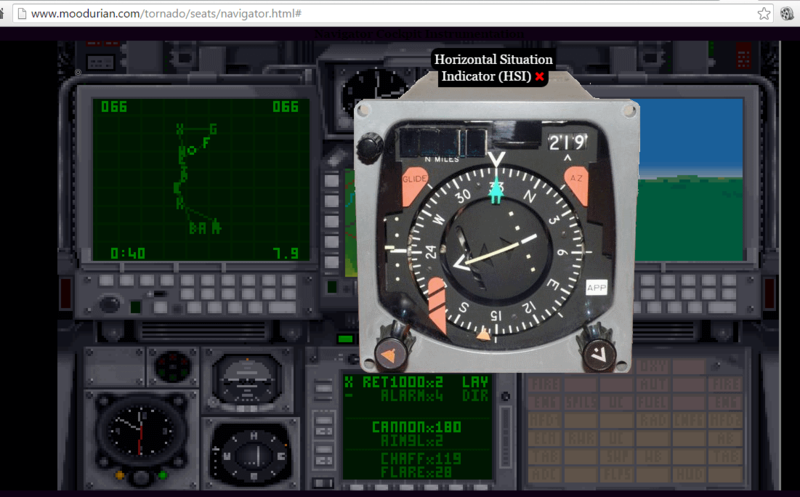 I find it fascinating that the Tornado developers were able to abstract the real-life gauges and controls of the pilot and WSO cockpits. To me, this is an interesting study in area Human-Computer-Interfaces (HCI). One of the hallmarks of Digital Integration's classic flight simulators is the ability to make the game ACCURATE yet FUN to play. In Tornado, the developers struck a rare balance of accuracy and fun. Today in 2016, Just Flight and SimSkunkWorks have modelled the Tornado in astounding detail and accuracy. In 1993 however, the Tornado game designers were blessed with less resources. Therefore, to me, Digital Integration's achievement of modelling a complex aircraft like Tornado, is simply brilliant. "So limited were the graphics capabilities of the early games, that the medium was forced to remain relatively abstract for over a decade. Gradually as technology improved, designers strove for move representational graphics in game imagery, and today they still continue to pursue ever more detailed representations approximating the physical world. ... The player's mind is forced to complete or imagine game details, which engages and involves them more in the game. 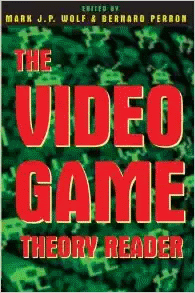 At the same time, the simplified versions of situations found in video games allow players to feel a sense of order and understanding that may be more difficult to find in their own real lives..."
Chapter 2: Abstraction in the Video Game. To me, what that simply means is that a game like Tornado (circa 1993), allowed the gamer's imagination to fill in the details which the abstracted flat-shaded polygons lacked. Also, DI's Tornado also gave them enough control to make them feel that they could understand how to operate the real deal - the complex two-man Panavia Tornado. Something that would have been impossible for most people, if not for the gaming industry's talented game designers and programmers. Here's what I have come up with for now. From what I can see, the artists and designers did a pretty good job using tools like Electronic Arts Deluxe Paint software. BTW, if you do a mouseover some of the gauges, you will see a tooltip appear. Cick on the area and the real Tornado gauge or component will be displayed in a CSS pop-up. The CSS po-up will show even if your web browser is set to reject pop-ups. My next project is to map the Pilot's cockpit instumentation. Enjoy. Re: Modelling a Tornado cockpit instrumentations in 320x200 pixels. Here's the Pilot's cockpit and gauges/instruments. (3) Because it is fun to create something out of nothing! (5) To add more stuff to the Tornado-universe. If anyone can point me to images of these either on the Net or in a book, I'd be most grateful. That way I can finish the "project". Finally! Thanks to this 15 megabyte hi-res Wikipedia image of a Tornado cockpit, I have managed to collect and add all gauges and components into my "Tornado pilot's cockpit" image map / collage. My collection is now complete. This is a first in gaming, I think. Someone crazy enough to analyse, compare and construct an online collage of Tornado cockpit components. I must say, the Digital Integration artists were spot on in many places. Even right down to the RAF gray-blue colour scheme of the components. There are some differences however. For example, the standby compass in the game is digital whereas the actual device is analogue. Same for the fuel quantity indicator (pilot's cockpit, lower right). The bottom part of the device is shown as digital when it should be rendered as analogue buttons. The Tornado has been around for a long time, with the variants of the plane undergoing upgrades over time. Thus for the minor gauges, there are position differences. This is expected given the constraints of pixel space to represent the real deal. Overall I must say that the DI rendered Tornado cockpits of 1993-1994 are quite faithful to the original real-life Tornado cockpits. For both the WSO (Navigator) and the Pilot. This is quite an artistic and gaming achievement as the game itself ran in 320 by 240 pixels. The DI artists abstracted the main features of both the Tornado's cockpits, and made the in-game gauges and dials functional in the game. In many cases , the components were rendered true and faithful to the shape and colour of the component, is simple ... AMAZING. Anyone who is studies Human Computer Interaction would do well to emulate what the team had accomplished, which was to bring a 20-million Pound Sterling (in 1993) jet bomber, to life inside a 320x200 pixel world. This mini-project has deepened my awe and respect for the development team members who collectively created a flight simulator classic game back in 1993/1994. A game that was and still is, accurate and fun. Re: Modelling a Tornado cockpit instrumentations in 320x240 pixels. I enhanced the code so that now you can hit the Esc (Escape) key on your keyboard to close the pop-up image. Previously, the only way I could close a pop-up image was to move my mouse to the top portion of the screen and left-click the mouse on the red "x" close link. Now it is much more convenient to close the pop-up using the Esc keypress. So this mini-project is getting more prefect, and I am quite satisfied with it. I now know how to create image maps with text and image pop-ups when clicked. I have an idea. Maybe I can try this 'technology' on an interior of a SteelBeasts APC or tank. I can easily get the interior screenshot of SteelBeasts 4.0 (someone can send to me), but I will ALSO need the images (pictures) of the real deal (e.g., the real-life M1A2 Sepp or Challenger2). But I think such images are ..maybe...classified? Just a thought as to potential uses of image maps in games like SteelBeasts, etc. But SteelBeasts 4.0 rendering of tank/APC interior is already very detailed and close to the real-thing, IMHO. So maybe some other game where abstraction was/is used more. Just thinking out aloud. You get the idea.